Fall, the return to school and the arrival of fresh apples are nearly upon us! 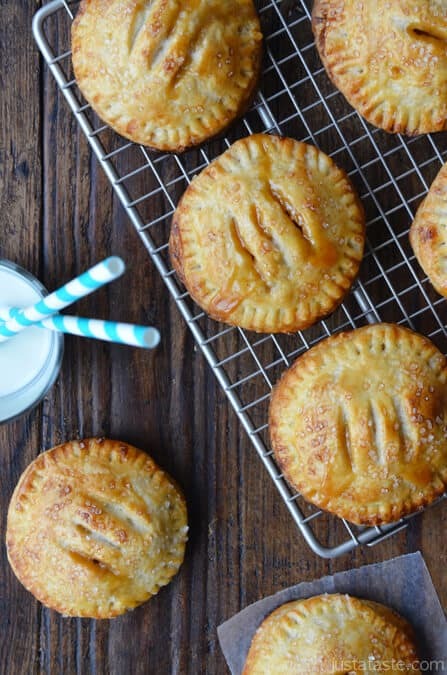 So, if you are looking for a recipe you could make with your grandchildren to celebrate the crisp, days of Fall and brighten the day of others, consider this recipe I found on Pinterest for Salted Caramel Apple Hand Pies! This is a recipe your grandchildren could enjoy making with you . . . and will certainly enjoy eating! You'll find the recipe and all you need to know at this link. Have fun making the pies and then take some to elderly neighbors, shut-ins, your local police/fire departments or package up to send to school with your grandchildren for their teachers. Whatever you decide to do with them . . . be sure to send some home with your grandchildren for their family to enjoy together . . . this is sure to be a project you will enjoy working on together from start . . . to the inevitable and delicious finish! Be sure to spend time praying for the people to whom you give the pies . . . pray God will touch their hearts and draw them closer to Him!